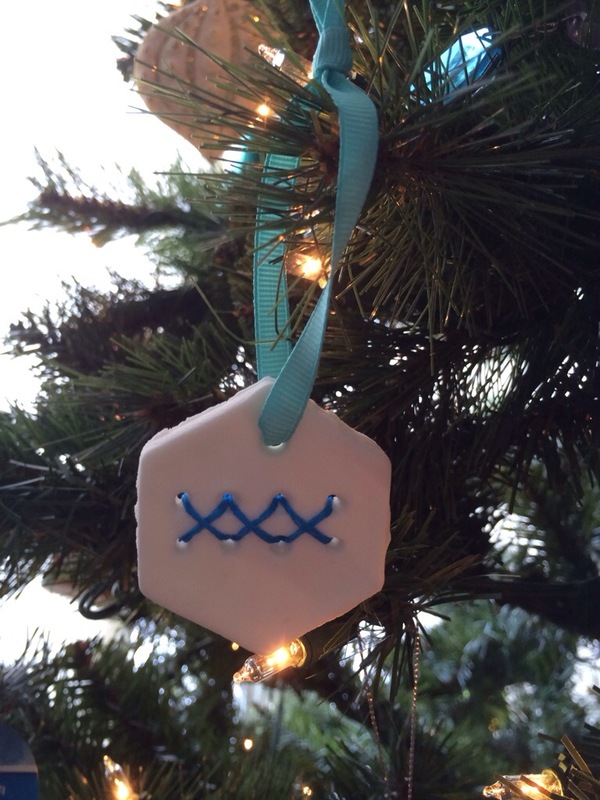 You are here: Home / Cross Stitching / Hexagon Cross Stitch Ornament! I’m kind of hexagon obsessed right now. 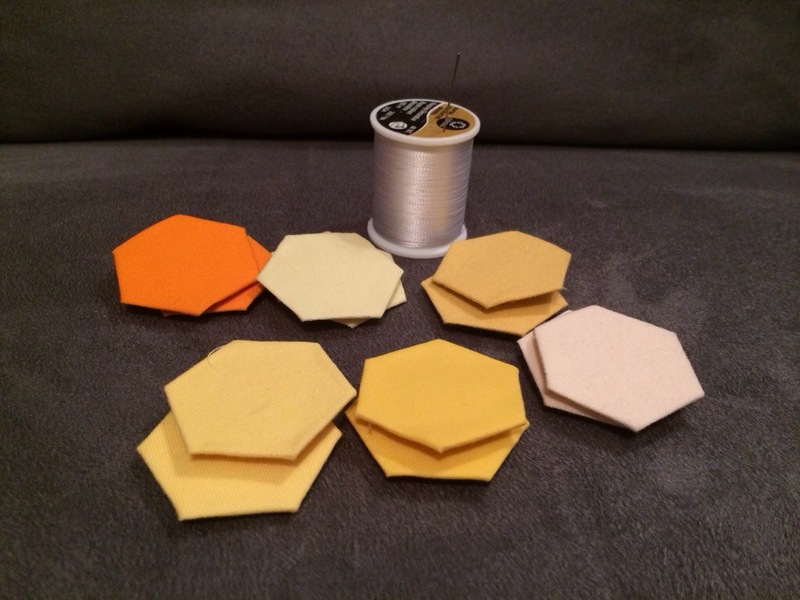 I made a few English paper piecing hexagons recently and now I want to make all the hexagons! When we were cutting out ornaments the other week, I remembered that Evie has some Play-Doh cutters in different shapes. I dug them out and was delighted to find a hexagon. Unfortunately, most of the ones I made and intended on painting got cracked. However, I made one hexagon that I poked holes in for cross stitching, and that one came out unscathed. 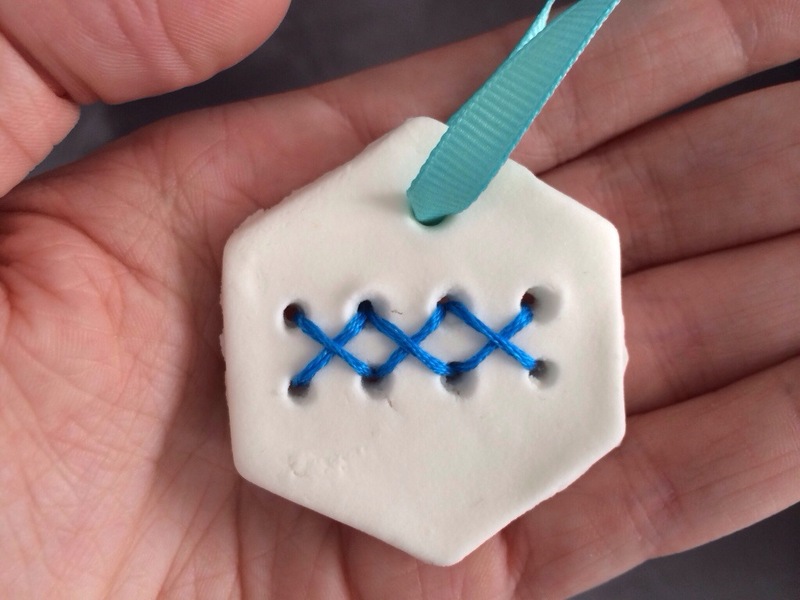 It could use a little sanding on the edges, but otherwise I think it’s pretty cute! I started yet another Christmas present, this one is including these fun little orange and yellow hexagons. I’m excited to see how it’ll turn out!